The President of the United States Donald Trump has come out and defended the monuments that are being removed all around the United States. Trump feels that the historical monuments add to the entire aesthetic of the nation itself. Many people feel that the monuments should not be removed because it's history. Then there's the other side of the argument that is people who want it removed because they feel it's oppressive and is still a form of racism against a group or groups of people. 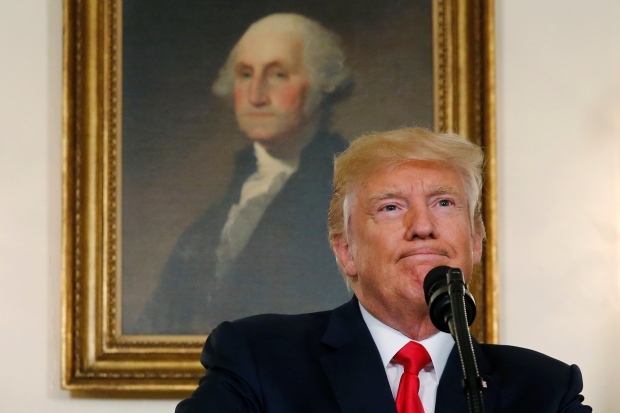 “I would say that is up to a local town, community or the federal government, depending on where it is located,” Trump told reporters after being asked about the Robert E. Lee situation. Donald Trump has faced a lot of criticism lately, especially after what happened in Charlottesville, where one person was killed during a rally. The President spoke out against racism, white supremacy, and more. He also reportedly retweeted an alt right provocateur. The tweet was apparently deleted. Trump has even been called out for how he spoke on the North Korean situation regarding nuclear weapons when he said "fire and fury". The entire situation regarding whether or not the monuments should be removed because of the history they represent is a huge debate at the moment in a lot of places in North America, especially the United States.